July's screening is Roll Bounce, a feature film starring Bow Wow as the leader of a roller skating crew in 1970s Chicago. Introducing the film is legendary skater Bill Butler, widely known as "The Godfather of Roller Disco". 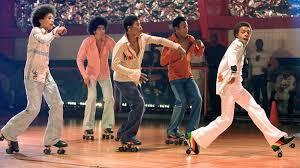 During the filming of Roll Bounce, Bill was the Skate Director and an integral part of the film's choreography.